It is with a profound sense of being on the cusp of a bigger vision that I sit down to write this blog. It’s been a big month for many of our members. A few examples will set the tone. Ian Skinner launched his BIG Mentoring initiative – well supported by our members. 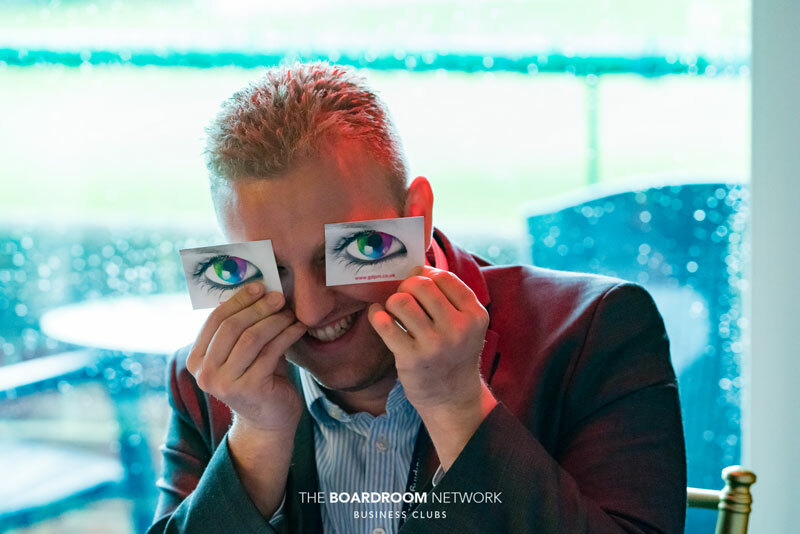 (BIG being the “Business Improvement Group.”) Andy Taylor-Whyte is about to host sessions of “The Code” at Hotel du Vin. Sam Dyer is inviting us to walk through fire and across hot coals as we discover just how resourceful we really are. And there was massive support from members for The Honeypot Children’s Charity Fashion Show, directed by Pam Bates and Jenny Todd. Of course, there is also the important matter of beginning our golf society! There’s far more going on, and Jacqui, herself, has got some great news to share with us at the right time. In the meantime, I want to pick up on the charity theme. You’ll have noticed that we only have charities in the room at certain times of the year. This is specifically because so many of our members are already highly active in supporting their own choice of charities. 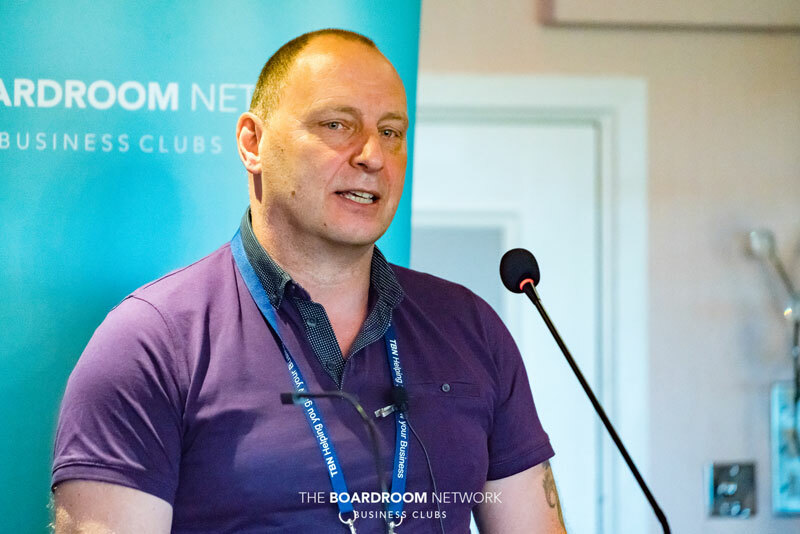 Some of our members, like Marc Smith, even deliver charitable solutions as a core part of their business and brand promise (GHS, Good Honest Service). We are good people to do business with and our businesses do good. One slide, however, got me thinking. Andrew Parker, of Parker Marketing, shared this slide as the finale of his presentation at this week’s Dorset meeting. The opportunities afforded us through Brexit are as nothing compared with the positive impact we can have on a Global Stage. There is not a single goal on that list that I, as a business person, am not wholeheartedly committed to. Andrew was opening a dialogue on how we, as TBNers, may play a role beyond Dorset, Hampshire, and Wiltshire – beyond Brexit-obsessed Britain, and up to the bigger game of going global. 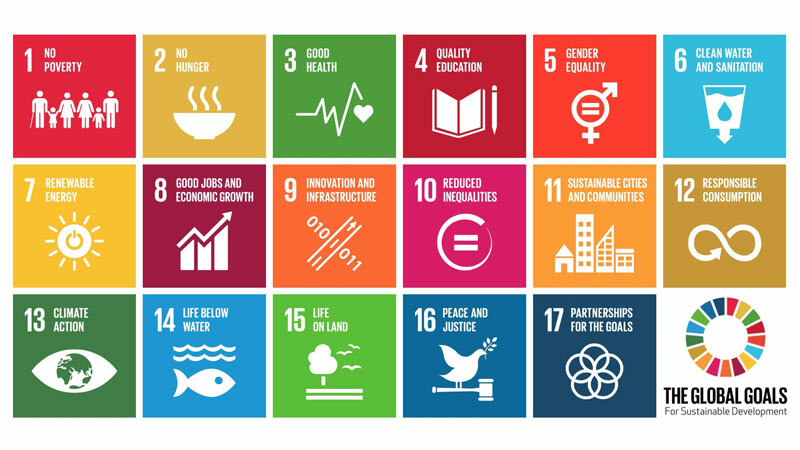 The organisation I work through has a membership that have made 177,606,181 giving impacts to date – all in line with the 17 Sustainable Development Goals. Furthermore, you can discover which of these goals most strongly resonates with your values as a business. There is an assessment on GeniusU.com where it’s easy to set up an account (free). When you’re logged in, look for the microdegree called, “The Purpose Test.” Whilst I’d love to give you a direct link, the site defaults to a sign-in page! Sometimes we have to work a bit at discovering our purpose – but when we do, it’ll be a Parker Purpose! Andrew’s four questions really ‘spoke’ to me in considering our own Brand Positioning here at TBN and TBE and EBW. If you could answer accurately and effectively these four questions, you won’t have to concern yourself with sales, the right customers will beat a path to your door. 3) What are you to them? 4) What are they to you? It’s objective is to make the World a better place. This objective is enabled by New Wave Technology. 3.0 Companies see the market as made up of whole humans: mind, heart, spirit. The key marketing concept is neither product development nor differentiation (vital though these are). Rather, the key marketing concept is Values. Interaction with consumers has been transformed from one-to-many transactions of marketing 1.0. Interaction with consumers has evolved even from the one-to-one relationship style of marketing 2.0. The goal is to turn consumers into collaborators so that with many-to-many collaboration, we can change the future, change the world, and change the results we get. The consumer is dead; long live the tribe! I really need to have a chat with Andrew to understand these better, and I know he’d love to chat with you about this bigger, broader, better vision for business too. In fact, he may even be able to help you and I discover what the mysterious ‘Step 2’ is. Step 1 is to steal all the underpants. Step 2 is a mystery with a question mark beside it. Parker Marketing is here to help you and I discover what Step 2 is for our unique business branding proposition. Simon Humphreys delivered our other keynote with a clarion call to action. If you and I thought GDPR was done and dusted, Simon made us certain that there was much yet left to do. Talking about “Company A” – who had the attitude to GDPR that matched their cavalier attitude to the Data Protection Act – we learned the consequences of non-compliance when faced with a hostile ex-employee. This fired employee knew that Company A was not compliant with GDPR, setting them up with a Subject Access Request. When the response was inadequate, the ex reported them, setting them up for a fall with the ICO. And fall they did. The purpose of Simon’s horror story was to warn us about reputational damage. While the fines are significant, the reputational damage could be far worse. I’ll post a portion of Simon’s videoed presentation once I’ve got permission in writing! Simon and his team can help any of us with our GDPR issues and can provide training to our own teams. 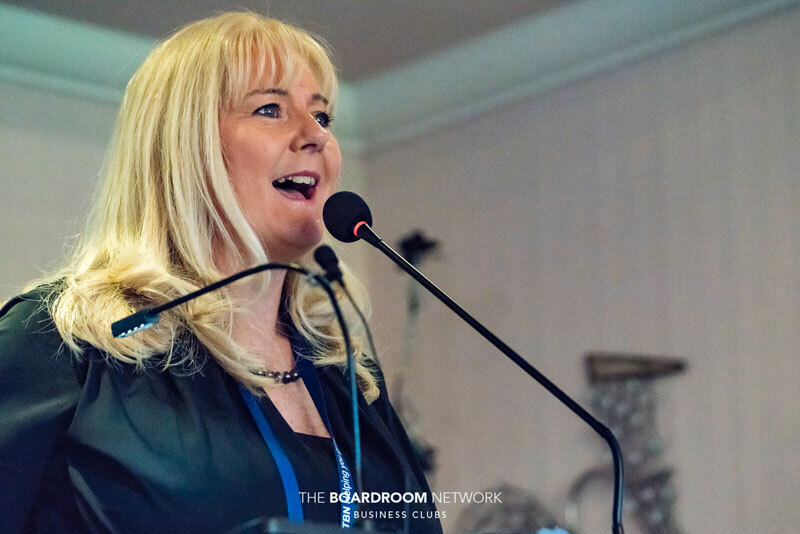 Jay Rachet’s swanky new lecturn enabled this “Swan Song for Europe” image of Sharon Canning – captured by Justin Wharmby and his photographer’s eye! Whilst Sharon looks like she’s singing, she was, in fact, tolling the bell for many Letting Agents in the coming months. Two major issues are affecting the future of Letting Agents: Client Money Protection and the incoming ban on tenants’ fees. Approximately 75% of Letting Agents didn’t have CMP before the first of April. Now they need to display a certificate of their cover on their website or else they are deemed to be illegally trading without CMP. 1st June heralds the tenant fee ban with an estimated 30-40% of Lettings Agents likely to go bust. If you’re a landlord for whom a letting agent collects money, Client Money Protection is essential – to protect your money just in case yours in one of the Letting Agents due to go out of business. A Swan Song for Letting Agents then! Two of our top trainers: Sam Dyer and Andy Taylor-Whyte delivered very quick promotions about their forthcoming events. In both cases, preferential rates are available to members, so feel free to contact Sam and Andy directly. The morning began grey and wet, with a Mallard waddling across one of the greens outside the venue’s windows! However, the weather cheered up rather a lot for the first outing of The Boardroom Network Golf Society. Whatever next!? I really relish the ways in which our network in growing and diversifying.